As omnipresent as music mogul Clive Davis is, I have to say I have never been interested in learning more about his personal life outside of the countless recording artists he's mentored and iconic music he has produced throughout his 50+ years in the music industry. So, I can't say I was overly enthusiastic about a documentary about him. Thankfully, CLIVE DAVIS: THE SOUNDTRACK OF OUR LIVES is anything but. In fact, it's more of a look back at some of the most influential artists over the past five decades, who just happened to be repped by Davis. You will find very few nuggets about Davis's life here. So if you love good music (I'm talking Santana, Simon and Garfunkel, Alicia Keys, and Aretha Franklin, to name a few), then you'll enjoy this documentary from director Chris Perkel, which opened the Tribeca Film Festival this year. Each of them help tell the story of Davis's steady professional rise to music superstardom, and the tunes he helped make famous. The film features interviews with them, as well as Davis's own reflections on his journey—including signing Janis Joplin as his first recording artist. Not a bad start for a guy whose first career was actually as a lawyer, As the film emphasizes, Davis was as much of a music fan as many of us. He had a natural knack for not only understanding the industry, but also where it's been, where it's going, and how it continues to document a cultural revolution that is still evolving. That said, the film is as much a celebration of great music as it is a really effective marketing tool for Davis, now 85 years young. Outside a few business/legal squabbles that were heavily documented in the media; ousted from his own record labels because, as he says, he was "making too much money" and "was too old," Davis's clean image is never questioned. It helps that the film is based upon Anthony DeCurtis's biography on Davis, Soundtrack of My Life (a collaboration with Davis). DeCurtis appears in the film, heavily influencing the narrative. So throughout the first hour of the film, we're really just bopping our heads to the inevitably great soundtrack and learning behind-the-scenes tidbits of the business of hit-making; late night calls bickering over which songs should be turned into singles, and the like. But the last half hour of the film takes a somber tone as it reveals just how significant the death of pop icon Whitney Houston was to Davis, who considered her one of his proudest discoveries and a nearly immaculate treasure to music. Though it is clear that Davis is not the most candid figure when it comes to his personal life, he is noticeably still affected by the loss, affirmed in footage of the two in interviews and photo shoots, and through personal letters. 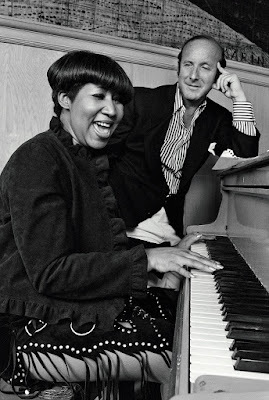 Although CLIVE DAVIS: THE SOUNDTRACK OF OUR LIVES is deliberate in its depiction of Davis, and surely won't satisfy folks looking for something more exploitative of either Davis or any of the artists he produced, it does hold true to its title reflecting music that defined generations and defied time. It's a tribute to the artists, including Aerosmith, Patti Smith, Carly Simon, Grateful Dead, Barry Manilow, Earth Wind & Fire, Bruce Springsteen, Gil Scott-Heron, and more who not only impacted his life but ours as well.